Stan Baker has been a practitioner/instructor of Tai Chi for 30 years. He has been continuing his study of high level Tai Chi for 10 years with Master Wang Hai-Jun, the traditionally trained Master from Chen Village, Henan. He has on going classes for students of Chen Style on Tuesday and Friday nights in the Hartford, Ct. area. Please contact for more information: 860-836-1068. 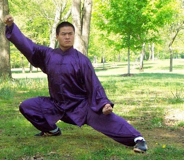 Master Wang Hai-Jun is a teacher and practitioner of Chen style Taiji at the highest level. He was the first non-chen family student to be traditionally trained in Chen Village in Henan in modern times. His teacher, Grandmaster Chen Zhenglei, is one of the “Four Golden Tigers” of Chen style Taiji. Stan Baker has been a practitioner/instructor of Aikido since 1979. He began his studies with Paul Sylvain and Lorraine DiAnne. He continued his training with Nakazono Sensei at the Kototama Institute and is presently studying advanced Aiki training with Dan Harden at Shugyo Dojo in Spencer, MA. Stan Baker started practicing Sun Do in 1986 under the guidance of Master Hyunmoon Kim. Sun Do is a unique method of Yoga that brings together breathing, yoga posture and meditation. The main U.S. center is in West Hartford, CT. In 1968, Taoist hermit Be-Kyung left SunDo mountain practice and began teaching SunDo in Seoul, South Korea. 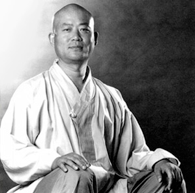 In 1979, after training with Be-Kyung for many years,Hyunmoon Kim brought SunDo-Taoist practice to the West. Since his arrival, Master Kim has been teaching SunDo in the US, Canada and Europe. A PhD graduate of Philosophy in Human Science, Master Kim integrates contemporary western psychology with ancient eastern wisdom to teach the principles of SunDo-Taoism.